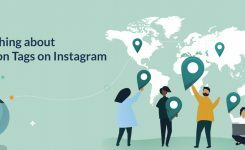 Instagram is one of the social networks where you can get various opportunities that fit into your interest, one thing that is of utmost importance on Instagram is your photography, it attracts the right people to you and is the best shot at gaining the kind of popularity you want on the platform. This article will give you useful tips on how to improve your photography on Instagram. There are steps you should know to make your Instagram posts visually glamorous. By visually glamorous we mean to make sure that all of your posts maintain this consistency. When the images or videos on your Instagram posts are visually dazzling, Instagram viewers are more likely to like your photos and follow you. And if you are a business brand, the importance of finding your visual style cannot be overemphasized. Your photos and videos highlight the products or services you have to offer. And like the popular saying, a picture tells a thousand words; if your photos and videos do not look glamorous, imagine what words it is saying to people about your products or services. Your Instagram posts are the faces of your business brand, and behind every face, there is a personality. Your Instagram theme is that personality, which is while it is essential to make sure you get it right. 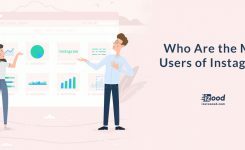 In a recent study, research showed that there are more than 800 million active users monthly, and of those 800 million users, over 400 million are active daily. Like it or not, there are more than 60 million new photos and video posted on Instagram every day. Some schools of thoughts are of the opinion that while iPhone brought about the evolution of digital photography when it was released, the launch of Instagram revolutionized digital photography. To grow your business and create greater awareness of your business brand, we all want to get more real Instagram followers. On the Instagram app, the often you post images or videos, the more you get more Instagram real followers that help raise your brand awareness. It is important to emphasize that Instagram will help you build an enthusiastic community about your brand when there is beautiful aesthetic imagery associated with the post, not only do you get more followers, you also get followers who would be potential customers. Instagram is a visual platform, and it is essential that your images are picture perfect. Making a picture perfect photograph for the gram is more than just shooting a picture with a fancy camera in a beautiful environment. Some tips can be followed by improving your Instagram photography, and most of these steps come before you even take a picture of the image you wish to post. Following these tips would help ensure that your Instagram photography improves. There is nothing once than taking an excellent picture of an image, and you can’t upload the whole of it because you have to cut off some parts of it so it could fit into the post. The size of Instagram images previously was 612px by 612px, but currently, it is 1080px by 1080px, this ensures that the resolution display available on smartphones, pads, and laptops fit with Retina and other high resolution. That’s a considerable improvement, and although you can still make use of the 612px by 612px, you would not have to worry about the image being cut off. It is important to ensure that images to be posted on our Instagram feed are not only of the correct pixel size but also perfect and appealing to the eyes. In a study conducted, it was observed that posts with brighter images get 592% more likes than posts with darker images. So here should be a priority of the colors gray, blue and green on Instagram images. Another commonly overlooked aspect of improving Instagram photography is the grid layout of your overall Instagram feed. This would make it easier to stick with a theme that is consistent with your business brand. There are about different types of Instagram layout grids you have the: squares, diagonal, tiles, row by row, line in the middle, rainbow feed, borders, puzzle, and mix. Each grid layout has its unique features and plays an essential role in the consistency and theme of your Instagram feeds. Carry out a study on each of the following grid layouts mentioned, and you can create your Instagram layout by planning each square based on the theme which best suits your business brand and product. Behind every Instagram feed, there is a personality and that personality signifies the theme of your brand. A theme is nothing without a filter. Being consistent in using the same filter for your Instagram posts is the best strategy in starting a theme for your Instagram feed. The importance of light in improving Instagram photography cannot be overemphasized. It is possible that you may have heard the tip about perfect lighting to enhancing Instagram photography, if you are not using proper lighting, you are missing out on a critical element in improving your Instagram photography. Photos taken with proper lighting would look perfect when filters are applied. As an additional tip, for a more consistent theme, it is better to take the photos with the same lighting all the time. Just like with professional photography, capturing picture perfect images or your Instagram feed requires proper planning. Few times there are happy accidents that make the picture come out glamorous without planning, but these happy accidents are rare. Location, lighting, experimenting with different ales are the essential elements in capturing a great photo from your Instagram feed. Having the perfect picture for the gram takes more than just one shot. Shooting under right environment while experimenting with different angles and poses, taking about 10 to 20 shots of a single subject. Rather than using the Instagram app camera when shooting for your Instagram feed, you can access your smartphone camera and take multiple shots of the same scene. Using the Instagram photo you can only take one shot, but switching to your phone camera gives you the opportunity to take multiple photos. The fact that Instagram allows for you to import photos from your phone gallery creates the opportunity for flexibility. This means that you are not only limited to the Instagram filter set, you can also make use of third-party photo editing apps. There are plenty of photo editing apps that would finesse the quality of the image; shot, they include but not limited to TouchRetouch, Anticrop, Afterlight, VSCO Cam, etc. Taking the perfect picture for your Instagram feed, you have to take into consideration the background in which you would be taking the picture The background of the picture is just as important as the subject of the picture itself. If the background is crowded, dark or does not fit into your Instagram theme, the photo is likely to come out not well. The background of the picture can cause a distraction to the subject of the picture and causes the focus of the picture to be in the background rather than the subject. If peradventure, you take a shot of a photo you really love, but the background or environment of the image is crowded and makes the photo comes out unbalanced, do not be afraid to use photo editing apps to edit the photo. Apps such as FaceTune can do a magnificent job in taking out details from the background of the photo without allowing the focus to be lost on the subject of the image. This tip is quite different from the other tips mentioned above. In this approach, you are focusing on posting pictures that you like which are glamorous and creates beautiful scenery for your business brand and Instagram feed. 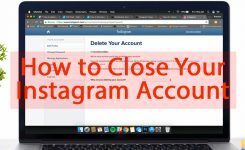 By doing this you not just get caught up in pursuing likes or followers as they can be gotten by Instagram automation rather you focus on pictures that are posted using the detailed Instagram schedule post to create a beautiful Instagram feed. Followers just want to have fun and your Instagram feed shouldn’t be just a photography website to your followers. Your posts should entertain, educate and engage with your followers. Because you can use it frequently and more informally and on a daily basis, your Instagram feed can fit it in with your business brand. This means over branding your business is not a grand strategy, if you can post images in a free and fun way that would make your followers engage with your business brand. After all the bottom line of improving your Instagram photography is to create awareness of your business plan and showcase your product and services to followers and potential customers. Improving your Instagram photography should not be super complicated with tons of lighting, pose, design and styling that would end up causing dis-harmonization among the elements that are supposed to sync together to produce a fascinating picture for your Instagram feed. You can create unique and beautiful photos by changing perspective adding a few little elements and generally having fun and taking as many shots as possible.